Recombinant Human Defensin-α-1 is a 3.4kDa peptide comprised of 30 amino acid residues corresponding to full-length mature human defenstin alpha 1. Defensin-α-1, otherwise known as HNP-1, is a secreted cationic antimicrobial peptide and member of the alpha-defensin family, which plays an important role in the innate immune response against microbial infections. Reconstitute with 0.2 ml distilled water. Care should be taken during reconstitution as the protein may appear as a film at the bottom of the vial. Bio-Rad recommend that the vial is gently mixed after reconstitution.  Recombinant human defensin-α-1 may be used as a standard for ELISA applications with a purified anti human defensin-α-1 antibody (AHP1781). Recombinant human defensin-α-1 may be used as a positive control for Western Blotting applications with a purifed human defensin-α-1 antibody (AHP1781).